Troy Bayliss Academy Misano & Paris! All the hottest new bikes and models! 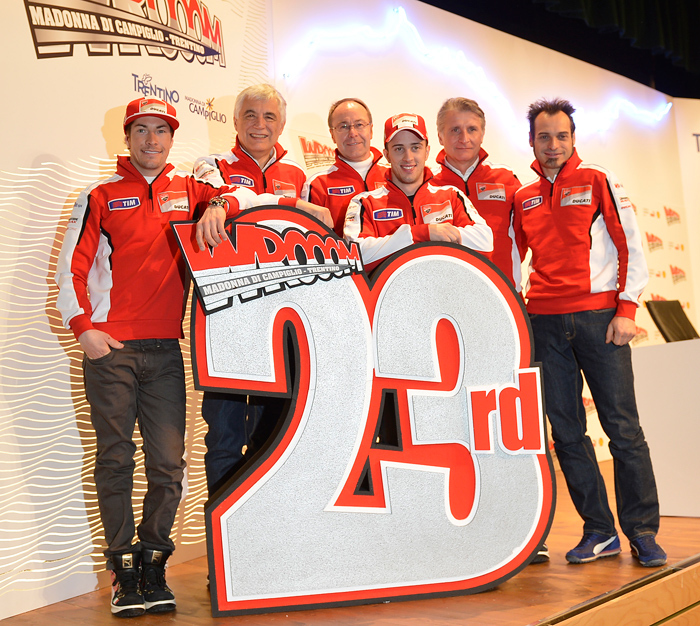 The Ducati Corse MotoGP13 team from left: Nicky Hayden rider, Gabriele Del Torchio - Ducati CEO, Bernhard Gobmeier - General Manager Ducati Corse, Andrea Dovizioso rider, Paolo Ciabatti - MotoGP Team Director, Vittoriano Guareschi - Team Manager. 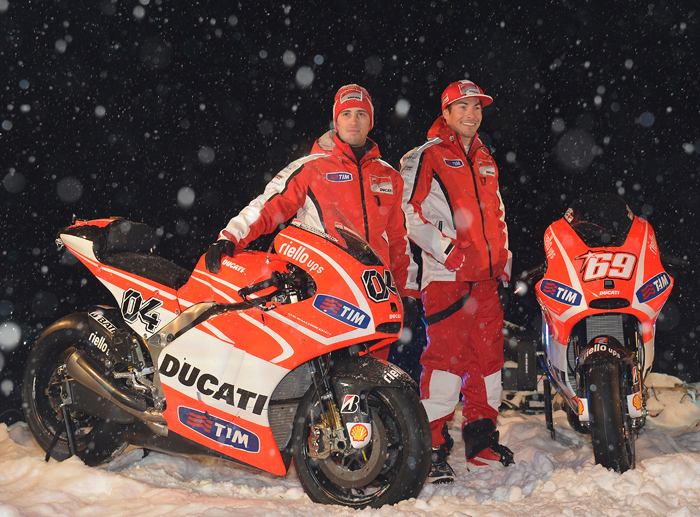 Borgo Panigale, Italy, January 11-14th 2013 – The Ducati MotoGP Team again used the start of Wrooom 2013, the traditional Press Ski Meeting now in its 23rd edition this year, taking place at Madonna di Campiglio ski resort in the Trentino region of northern Italy, the 'heart' of the Dolomites, and will host the MotoGP riders, bikes and Ducati management, along with those of the Scuderia Ferrari F1 team. 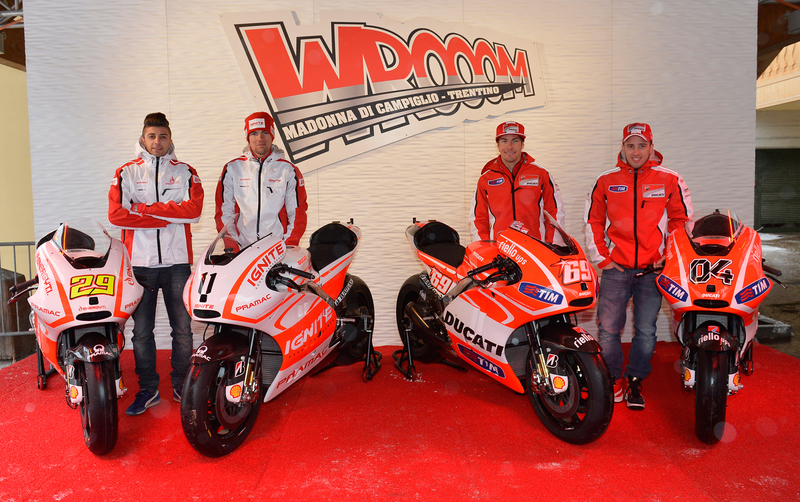 Wrooom 2013 opened its doors on Monday, with the arrival of the Ducati Team riders, American Nicky Hayden and Italian Andrea Dovizioso, at Madonna di Campiglio. The following morning, the two riders will hold the first official press conference. In the afternoon they meet up with the massive crowds of fans that always come to the 'jewel' of the Dolomites for this unique 'Made in Red' event. But from Tuesday afternoon the Ducati Team riders will not be on their own as the 'Special Guests' in this 23rd edition will be Team Pramac, supported directly by the Borgo Panigale factory for the coming season, and who with two riders of exceptional talent, American Ben Spies and Italian Andrea Iannone, will be on the grid at the start of the 2013 MotoGP World Championship. This terrific line-up of four riders, with an impressive array of titles, experience and talent behind them, will meet and greet the Campiglio crowds and together they are ready to represent Ducati in a MotoGP season that promises to be interesting and full of excitement. 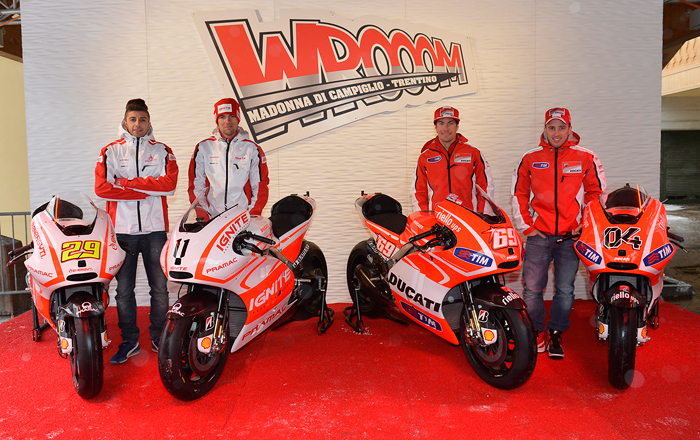 From the left, Andrea Iannone and Ben Spies of the Pramac Team with their same spec GP13 bikes as right, Nicky Hayden and Andrea Dovizioso with their similar Corse factory team GP13 bikes. Click to go BIG. On Wednesday it was the turn of both Ducati and Ferrari management for their press conference. 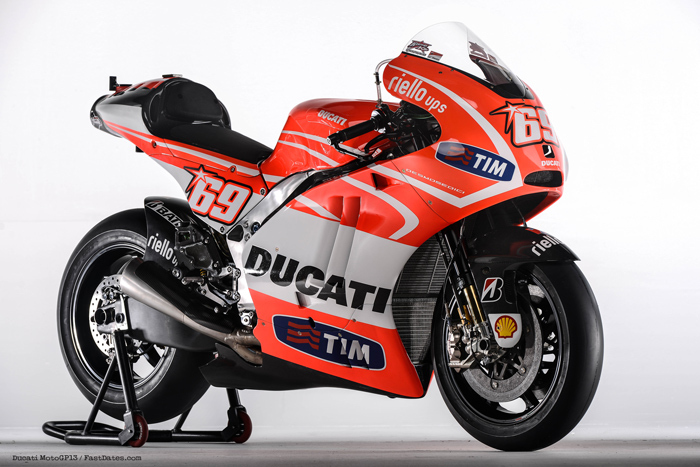 Expectation were high for the first official quotes from Ducati Corse’s new General Manager, Bernhard Gobmeier, who illustrated the plans for the 2013 MotoGP racing season. Also on Wednesday, the new Desmosedici GP13 machine were unveiled. 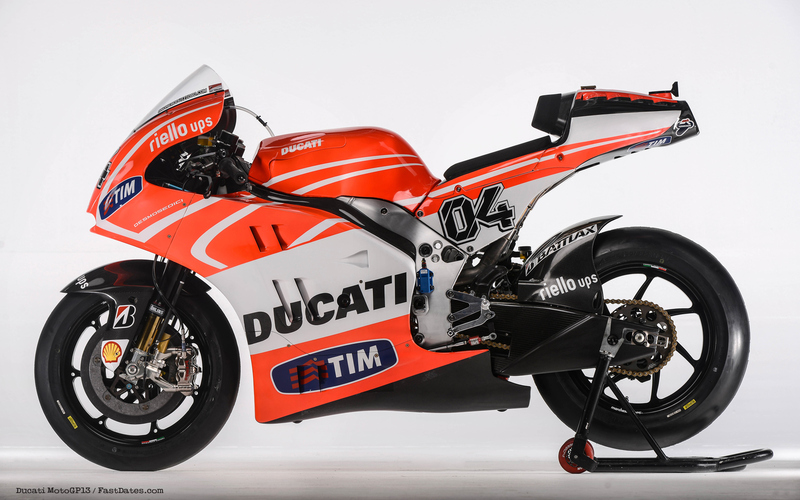 For the first time ever, four bikes, two Desmosedici GP13 of the Ducati Team and two Desmosedici GP13 of Team Pramac, were officially presented, ready to tackle the 2013 MotoGP World Championship. Scuderia Ferrari drivers Fernando Alonso and Felipe Massa were at Wrooom on Thursday, and proceedings come to a close on Friday evening with the traditional exhibition race, featuring the Formula 1 drivers and MotoGP riders competing in karts on a circuit laid out on Madonna di Campiglio’s frozen lake, a spectacular Grand Finale for an event that symbolically marks the start of the 2013 racing season. Nicky Hayden at Wroom with one of two unidentified attractive ladies in photos supplied the Ducati Corse Press Office. FastDates.com Webite cover model Halle wants to remind you to order your new 2013 Calendars. Weekdays 8am - 5pm Pacific Cost Time phone Van Leeuwen Distributing at 1-800-461-1226 or ORDER ONLINE HERE. 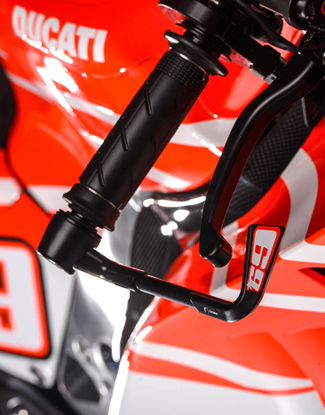 Above: The MotoGP teams are now employing enduro bike style "bark busters" on thier handlebars to prevent the front bakes lever being hit and engaging the brakes when two bikes collide together on track. Click to go BIG. Gerno di Lesmo (Milan, Italy), 8th January 2013 -Yamaha Factory Racing is delighted to announce a Sponsorship and Partnership agreement with the Monster Energy Company (MEC) for 2013 and 2014. As a result of this agreement Monster Energy branding will be visible on the Yamaha YZR-M1s and racing leathers of Jorge Lorenzo and Valentino Rossi as well as on all team clothing and all team equipment. 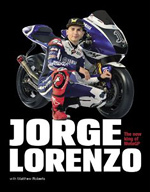 Reigning MotoGP World Champion Lorenzo has a personal engagement with Monster Energy and Yamaha included in the agreement. Valentino Rossi’s personal agreement with Monster Energy will be complementary to the agreement between Yamaha Factory Racing and MEC. The agreement between the satellite Monster Energy Yamaha Tech3 team and Monster Energy will remain unchanged and is unaffected by the Yamaha – MEC agreement. 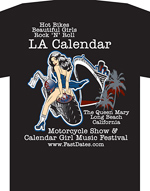 For more information or to order the Book or the Calendar individually, unsigned, go to the Sportbike Books and Fast Dates Calendar order pages. $100 Collector's Package, plus $20 USPS Priority Mail Shipping & Handing in the USA. 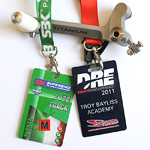 Troy Bayliss Race Academy School Misano & Paris 2012! Jan 16th - The 2013 eni FIM Superbike World Championship gets underway this week at Jerez, Spain for some of the teams including the FIXI Crescent Suzuki team as it heads to Spain for two shakedown tests. Leon Camier and new signing Jules Cluzel are both eager to get back on track and begin their preparations for the season that lies ahead. 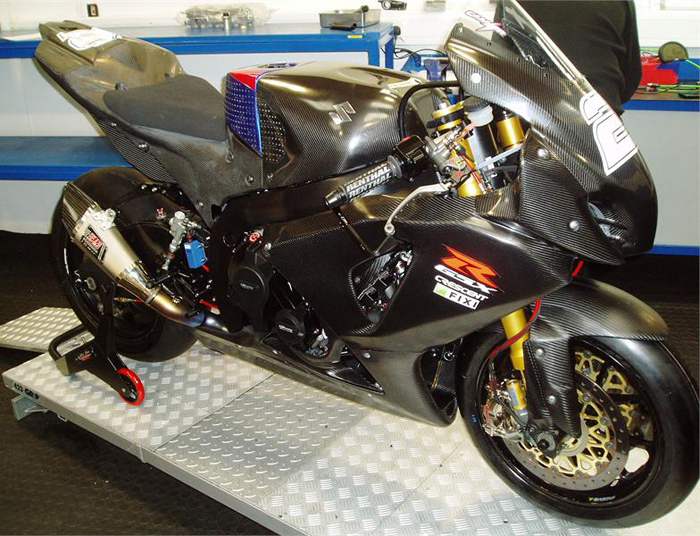 Following extensive work at the team's headquarters throughout the winter, the pair will use the two tests to assess the progress the crew has made with the Yoshimura-powered GSX-R. The first test at Almeria in Spain will also see Cluzel making his debut for the team, as well as it being his initial outing on a full Superbike. 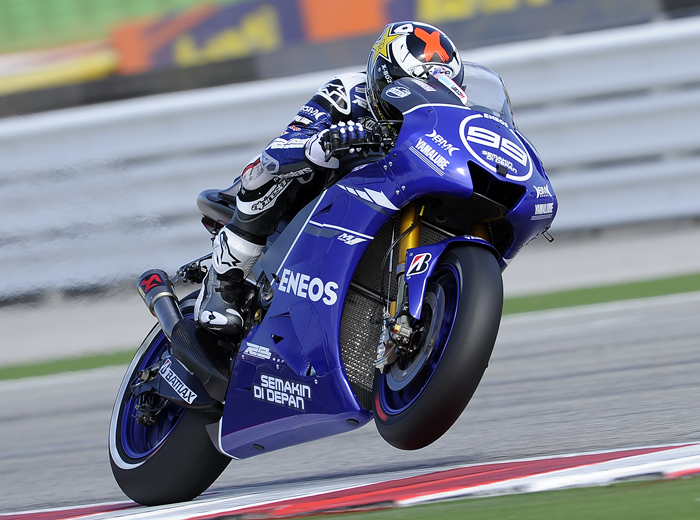 The first of the back-to-back Spanish tests will be at the Almeria circuit on the 17th and 18th of January. At just over 4,000m long, this technical circuit has corners which feature double and even triple apexes and a long back straight to test high-speed capability. The team will then travel to Jerez in southern Spain, to a circuit which is new to the World Superbike calendar this season. Jerez has a fast and flowing nature and is a perfect test venue for rider and machine alike. The undulating layout, hard-braking corners and endless camber changes over the 4,423m track, makes the circuit one of the best locations in the world for both testing and racing. The FIXI Crescent Suzuki team will take to the track for the two-day test at Jerez on the 22nd of January, in what will be the team's final European outing before heading to Australia for the first round on the season at Phillip Island, which will also feature two further tests in the schedule before the first race of the season gets underway on Sunday 24th February. Leon Camier: "I'm really looking forward to the test and seeing the progress the guys have made in the winter. I know that they have refined the bike quite a bit and that is has more power than last year, so I'm really excited about riding it. We will also have the new 17inch wheels to test, so it will be good to see how the bike behaves with them. I'm sure, that with everything the crew has done back at the workshop, we will be a lot nearer where we want to be. I've managed to do lots of riding during the break, including some Enduro and push-bike trials, and I'm off to do a bit of dirt-track before I go to Almeria, so that should sharpen me up nicely for the two tests." Jules Cluzel: "I've had over two months of waiting to ride the FIXI Crescent Suzuki GSX-R and am now really excited that the time is here to get out on track. I don't really have an idea of what to expect from a 1000cc machine, how it will feel and handle and mostly how much quicker it will be, but I know I am really looking forward to whatever happens. I have done lots of training through the winter to get fitter and stronger and I had an operation to cure my arm-pump issues and that has been a success, so I feel really good and ready to go. I've ridden at Jerez before, but have never been to Almeria, so it's a good place to start my experience on the bike, as I don't know the track or the GSX-R, so I can take it steady to start with and get to learn both." Paul Denning - Team Manager: "The FIXI Crescent Suzuki team has been working relentlessly since the end of last season to produce a faster, sharper and more competitive GSX-R1000. These two tests in Spain will give us the opportunity to understand what we have achieved, but at the same time we need to manage our expectations and treat them as shakedown tests - the laps in Spain will provide Jules with his first kilometres on a Superbike and allow Leon time to get back up to speed after a long winter break. "The atmosphere in the team is very positive and the attention to detail that the guys here - and our partners at Yoshimura and all our technical suppliers - have put into the bike has been extremely impressive. Without turning a wheel, we know that the technical platform of the 2013 FIXI Crescent Suzuki is much stronger and it will be nice to start working with it later this week." January17 th: The SBK Ducati Alstare team, which will participate in this year’s World Superbike Championship with riders Carlos Checa and Ayrton Badovini, readies itself to get started on the 2013 work programme that begins with a three-day test session this weekend at Jerez de la Frontera in Spain.This first test of the year, which gets underway on Saturday 19 January, will serve as a first shake-down of the new 1199R Panigale bikes in the Superbike configuration. There are still a series of technical solutions to put into practice and this test provides a last chance before official testing takes place in Phillip Island next month. These sessions are the first stage of preparation for the team and riders that will face an extensive work programme this season and it is for this reason that attention over the coming days will understandably focus on bike set-up in preparation for the next test sessions, scheduled for the 14 and 15 February in Australia. Both Checa and Badovini are very motivated and look forward to getting back on track after almost a winter break of almost two months. Under the watchful eye of team manager Francis Batta and Ducati’s SBK project director Ernesto Marinelli, the new team hopes to find favourable weather conditions in Spain, so as to be able to make the most of these three important days. 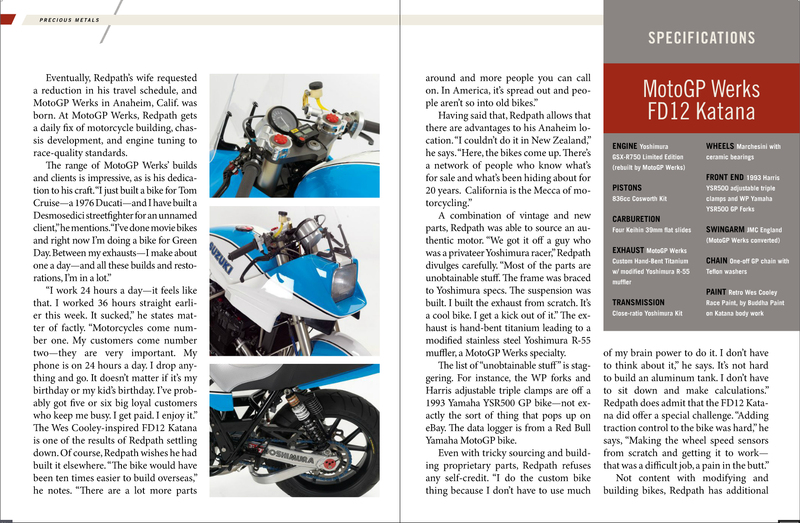 The story of modern day MV Agusta and the design and development of the new F3 675 Superbike. MV Agusta F3 vs Triumph Daytona 675R - Three-Cylinder Smackdown! 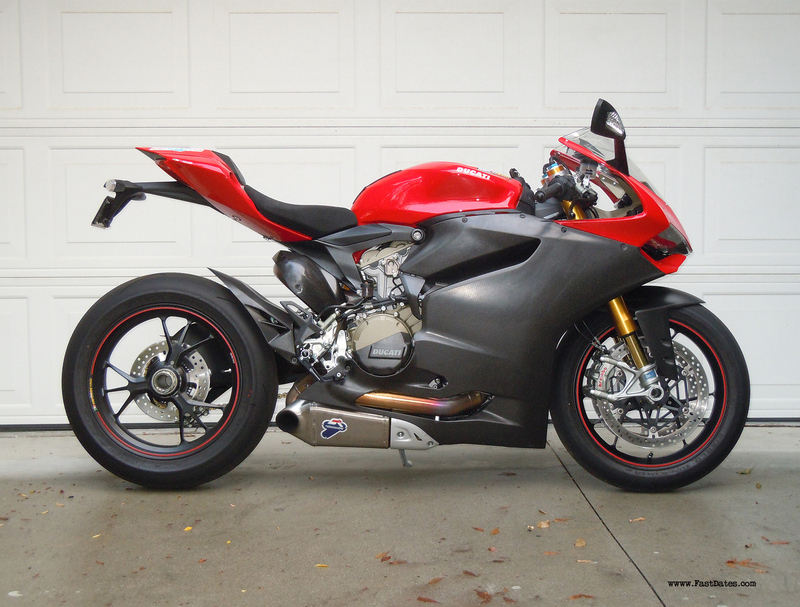 Fast Dates Ducati 1199 Panigale Performance Upgrades - from "S" to "RS"
with big screensavers in the Calendar Bike Garage, and in recent magazine features including this one from Ultimate Motorcycling. 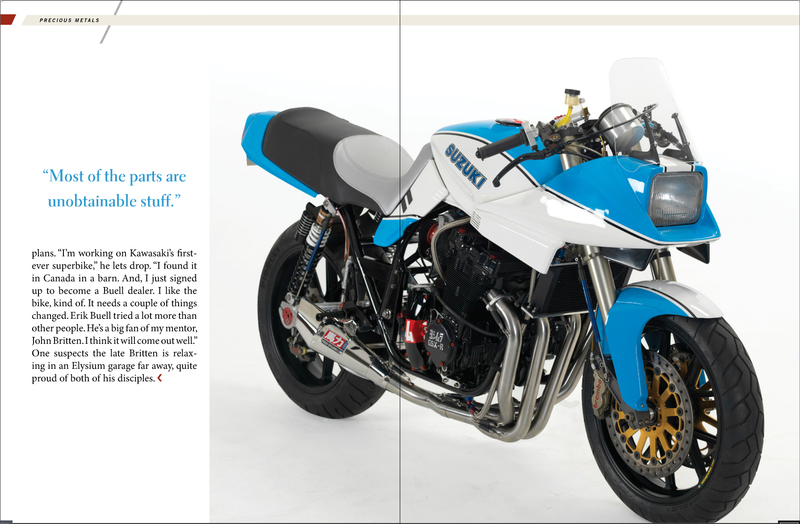 Pictured here is the brautiful 1982 Yoshiumura Suzuki Katana AMA Superbike raced by Dave Aldana, with a similar one was raced by Wes Cooley. Back then I sponsored the team as Marketing Director at Moto-X Fox. I built and tuned the Fox Factory Twin Shox on the team bikes. Reigning 1981 AMA champ Cooley finished 2nd overall in the AMA Superbike Championship that year, behind Eddie Lawson (and ahead of team mate Wayne Rainey) on the Muzzy Kawasaki KZ1000 who I also sponsored and switched over to Fox Shox that year. 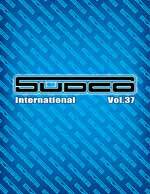 The next year all the production Japanese superbikes would have single shock motocross derived rear suspensions. Jan. 7, 2013, Los Angeles – RogueFlix, the new young-male driven Action Lifestyle Network will release the iKuztom TV series on January 7, 2013 featuring the world of custom motorcycles written, directed, and produced by award winning producer, Erik Lundmark and his partner Timothy G. Ledford, an innovator in the custom motorcycle industry. 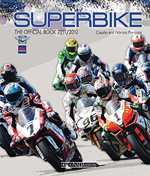 As the World Superbike Championship enters its 26th year in 2013, a record 15-16 rounds will be featured on the schedule. Jan 15th - The newest additions are the Buddh International Circuit near New Delhi in India, Jerez in Spain, and the one that’s going to excite American World SBK fans – Laguna Seca Mazda Raceway. World Superbike has only visited the Jerez circuit – a normal on the MotoGP schedule – one other time back in 1990. The FIM moved the Buddh WSBK date from March 10 to Nov. 17, which is the final round. The FIM says: “The World Superbike race in India has been moved from 10 March to 17 November due to an insufficient period of time to properly finalize the training of the marshals and medical staff around the racetrack. 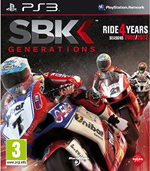 The 2013 World Superbike schedule is lacking three circuits that were on the 2012 calendar – Misano (San Marino), Brno (Czech Republic) and Miller Motorsports Park (Utah, USA). 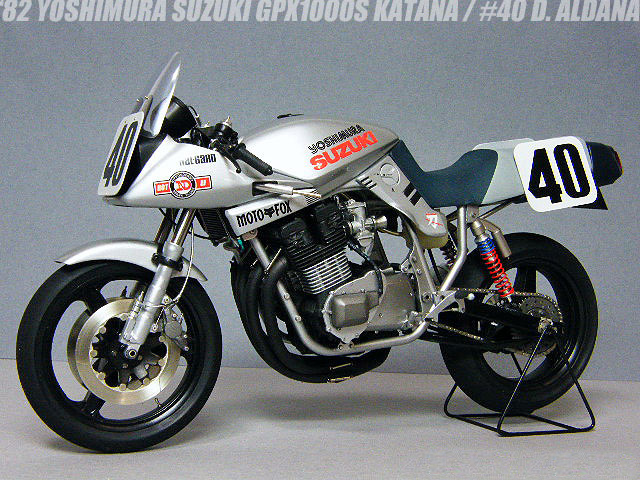 But one of these may return (likely Brno or Misano). In February, World Superbike, which will be marketed under the same umbrella as MotoGP with Dorna Sports, confirmed it would return to Sentul, Indonesia, where the series competed from 1994 to 1997. But things appear to be pushed back another year. Portimao is scheduled for round 8 June 7-9, but is still subject to contract. As tradition, the 2013 World Superbike Championship will get underway at Phillip Island, next year’s Australian race held Feb. 22-24. World Superbike will also hold the official test the Monday and Tuesday before the season at Phillip Island, which is the most frequently visited venue in World SBK history. The series has met there 22 times since 1988. The 2013 World Superbike finale will take place Nov. 17 at Buddh International Circuit. Heading into 2013 World Superbike, the man who would have donned the number-one plate, Max Biaggi, retired. The Aprilia Racing Team rider won the 2012 World SBK Championship, his second title in the series (first arriving in 2010 with Aprilia). joins Dealer Expo in Indianapolis February 15-17th. Dec 7th, 2012 - The largest consumer motorcycle show tour launches its first Indianapolis event during Dealer Expo weekend in February 2013. The Progressive International Motorcycle Shows will make a weekend stop at the Indiana Convention Center Feb. 15-17, co-locating with the 2013 Dealernews International Powersports Dealer Expo being held that same weekend in a separate area of the facility. “Our goal in developing one, single powersports weekend was to make sure we listened carefully to our customers, so that we created the right format, in the right city, at the right price and built the combined trade and consumer industry event they wanted,” said Advanstar Executive Vice President Danny Phillips. Dealers attending the 2013 Dealer Expo will be able to visit the motorcycle show for free on Sunday afternoon. Show management encourages dealers to schedule meetings with their OEMs during this time. Dealers also will have the opportunity to view the 2013 models from a number of vehicle manufacturers. Consumers will not be granted access to the Dealer Expo, nor any of its features and events, until Sunday afternoon, when the entire facility will be open to all trade and consumer attendees. The Dealer Expo will remain a secured, trade-only event from Friday morning to noon on Sunday, according to show management. For more information on the Indianapolis Progressive International Motorcycle Shows, visit www.motorcycleshows.com. To register for Dealer Expo, visit www.dealerexpo.com. 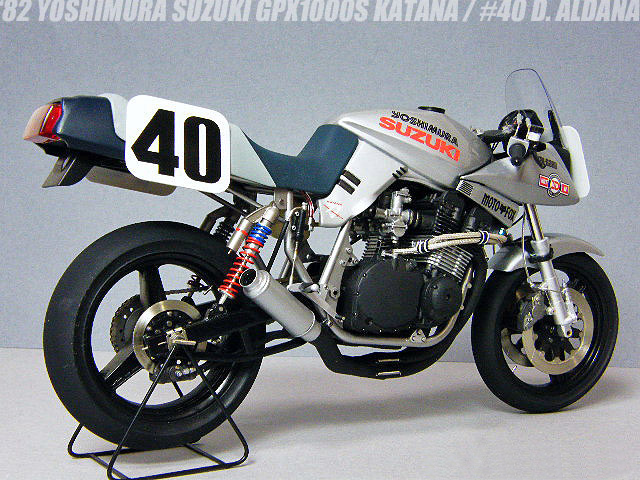 The Japanese motorcycle brands continue to struggle to survive as America and the World continues to recover from the recent Economic Depression. In part, because they tighten their belts during the economic downturn and stop development on new bikes, and are now caught in the recovery with no new offerings to excite buyers. While the European brands Ducati, BMW and KTM and Triumph continued to invest in exciting new designs that have come into production, attracting the interest of American Baby Boomers who still have money to spend on expensive new toys. While Japanese brands like Suzuki, Kawasaki and Yamaha in particular, who do not have strong selling automotive lines to help support them, are now in serious trouble. 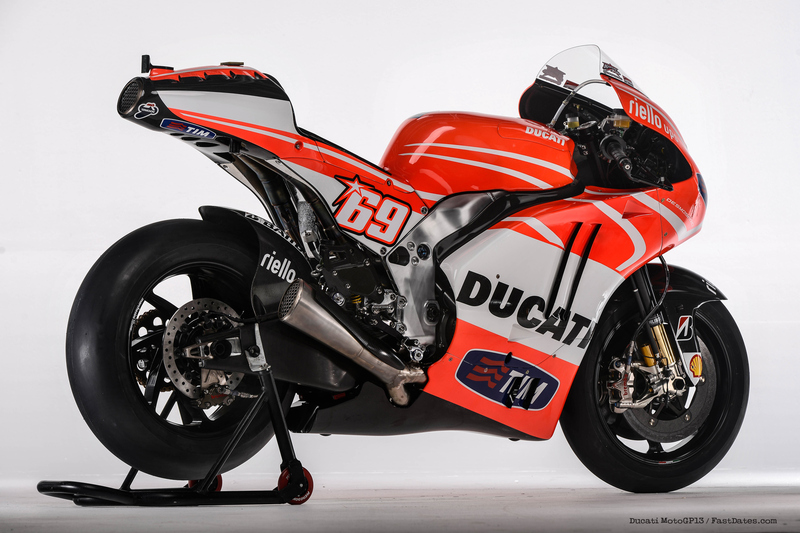 Cupertino, Calif. (January 17, 2013) – Ducati North America today reported achieving the highest sales in the company’s history, with a record 10,883 units retailed in 2012. This result marks the company’s tenth consecutive quarter of increased sales and further solidifies North America as Ducati’s number one global market. This all-time sales record was achieved thanks to a sales increase of 21 percent versus 2011, despite the industry trend of marginal growth. Each North American region achieved sales increases in 2012, with USA growing 21 percent, Canada 25 percent and Mexico 7 percent. Ducati’s line of apparel and Ducati Performance accessories also registered new sales records, with a significant annual growth of 42 percent. 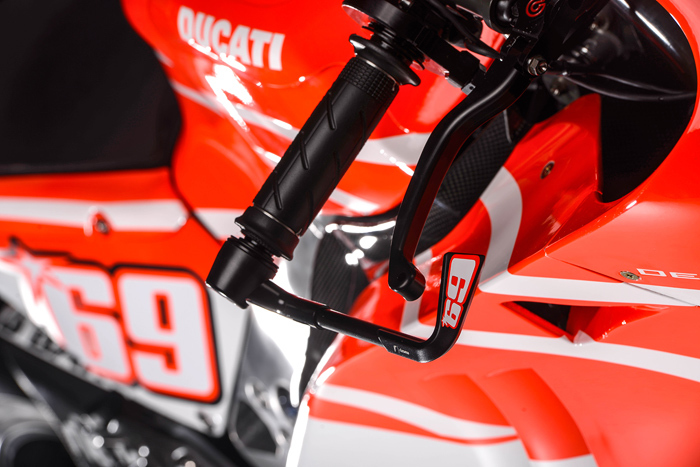 The largest and most diverse product offering in Ducati’s history continues to attract customers to the brand. 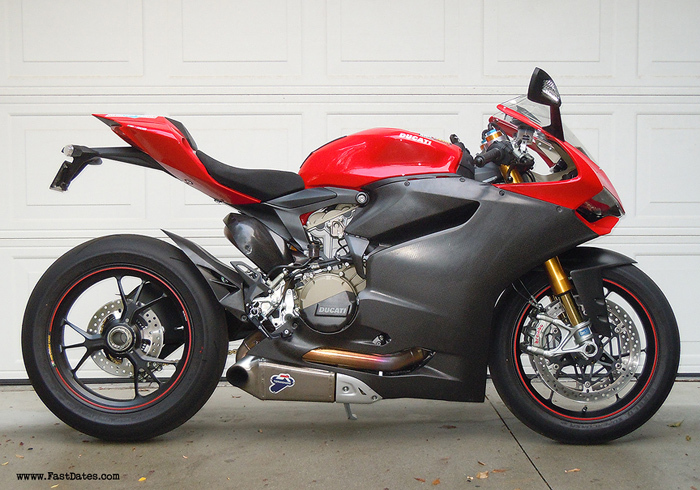 Ducati’s flagship Superbike, the 1199 Panigale, saw impressive sales in its first months on the market and earned “Bike of the Year” honors by Motorcyclist magazine. The new Streetfighter 848 was awarded “Best Middleweight” by Cycle World magazine. The Monster family of motorcycles, Ducati’s highest selling model, celebrates this year its 20th Anniversary. The Diavel received “Best Cruiser” by Cycle World magazine and by MotorcycleUSA for the second-straight year. New models for 2013 include the completely redesigned Hypermotard family as well as new versions that expand Ducati’s offering in the adventure-touring segment: the new flagship Granturismo which completes a totally refreshed Multistrada line-up, and the all new, more versatile, Diavel Strada and Hyperstrada. DAYTONA BEACH, Fla. (January 15, 2013) - AMA Pro Racing announced today a key addition to its executive leadership team with the appointment of longtime International Speedway Corporation ("ISC") executive Michael Gentry as Chief Operating Officer. Effective immediately, Gentry will oversee the day-to-day operation of all of AMA Pro Racing's business divisions and will provide strategic vision for the continued growth of the company. Working closely with the Managing Board, Gentry will also assist in the continued search for a President as part of the reorganization process announced last May. "We believe Michael's operational skills will benefit AMA Pro Racing. This move represents a significant step in our pursuit to continue growing the sport of motorcycle racing in this country," said AMA Pro Racing Managing Board Members David Atlas, Tom Bledsoe and Chris Harris. "We would like to welcome Michael to the AMA Pro Racing family and we are excited to have him as a part of our team." Gentry joins AMA Pro Racing with a wealth of executive experience in motorsports business, most recently holding the position of President at Americrown Service Corporation ("Americrown"), the motorsports catering, concessions and merchandise subsidiary of ISC. During his 15-year tenure with Americrown, Gentry had a solid track record of success resulting in accelerated growth and expansion. 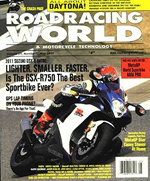 Editor's Note: The Daytona Motorsports Group's ownership of AMA Pro Roadacing is the cause of the failure of professional roadrcing in America. Bring in another of their own salaried personel evperienced in the food service industry to run Pro Roadracing will do nothing to crate the changes needed for the sport to see a resurgence in America. Changes which require the adaption of FIM roadrace classes and rules, and better, safer quality rider and spectator tracks than those owned and operated by the DMS group. PICKERINGTON, Ohio -- The AMA Motorcycle Hall of Fame is pleased to announce that "Mr. Daytona" -- five-time Daytona 200 winner Scott Russell -- will be the featured guest at its annual AMA Motorcycle Hall of Fame Breakfast at Daytona, presented by Motul, on Friday, March 15, 2013, 7:00 a.m., at the Daytona 500 Club on the infield at Daytona International Speedway. Taking place during 2013 Daytona Bike Week, the fundraising breakfast will feature a live interview with Scott Russell on stage, an audience Q&A period and an autograph session with the AMA Hall of Famer and Daytona 200 legend. The event is open to the public, and tickets are available now at www.motorcyclemuseum.org. Proceeds benefit the American Motorcycle Heritage Foundation, which raises funds for the Hall of Fame. "Scott Russell practically owned America's most prestigious motorcycle roadrace in the 1990s, racing against the best riders in the U.S., and often, Europeans who would travel to the States to compete," said AMHF Chairman Jeff Heininger. "If Scott was in the race, more often than not, everyone else was racing for second place. "It's more than fitting that the stars have aligned to feature Mr. Daytona at the AMA Motorcycle Hall of Fame Breakfast at Daytona -- at Daytona International Speedway," Heininger added. "This is one event that fans won't want to miss." Russell said he's looking forward to connecting with fans and catching up with old industry friends at the Breakfast at Daytona. "As a fan, a racer, and now as a TV commentator, I've been coming to Daytona in March forever, and it's great now to be hosted in one of my favorite places in support of the AMA Motorcycle Hall of Fame," Russell said. "Daytona will always be a special place for me." Russell may be best known for winning the Daytona 200 in 1992, 1994, 1995, 1997 and 1998, but he also won the AMA Superbike Championship (1992), and the World Superbike Championship (1993). In addition, he holds three AMA 750 Supersport titles, and won the famous Suzuka Eight-Hour endurance race with Aaron Slight in 1993. Jan 17th -" I don't really know where to start. This is one of the toughest things I have ever had to do. I guess the best thing to do is just get it out of the way. The 2013 AHDRA Championship Points Series is cancelled. I am sorry for holding everyone up, but there was potential to work this out and I wanted to give it the best shot. Unfortunately, it did not materialize. With our declining sponsorship support, most likely driven by our declining racer and spectator attendance, most likely driven by our crappy economy, we are unable to plan a budget that has a positive bottom line. This would be the 5th year of negative cash flow for AHDRA and she just can't stand it financially. Although they were committed to remaining as a presenting AHDRA sponsor for 2013, Harley-Davidson is moving most of its sponsorship spending to the NHRA's Sportsman series. Last week's news from the folks at Rush Racing Products, that they would not be continuing their sponsorship at AHDRA, was the final blow. These were our two largest sponsors and contributed the lion's share of sponsor revenue for AHDRA. I want to thank Hawaya Racing, Vreeland's H-D, Irene Fish, Frank Capone, RC Components, Gainesville H-D and all the others that have committed their support for 2013. However, without the level of support from Harley-Davidson and Rush, we can't make the numbers work. I also want to thank Harley-Davidson and Rush Racing Products for their many years of support. Business is business and though I wish it were different, they made their decisions based on what's best for their future. I have enjoyed working with Kris Schoonover at H-D and Terry Daniel and Lou Pringle at Rush. These were hard decisions for them to make, and I respect their need to make them. I also want to thank all of the AHDRA members and competitors. You are one great group of people. I have lived and breathed Harley Drag Racing for the past 14 years, and have met some of the finest people I have ever known. 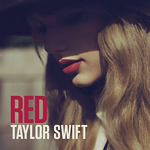 You inspired me and kept me going through the good times and the rough times. Please know that more than anything; you are what I will miss. On the bright side, there's a bunch of places to race this year. AMRA looks like they have a good schedule. And with the Manufacturer's Cup Series and NHRA offering several new venues, there should be ample opportunities to race. Maybe there's even an enterprising entrepreneur out there that would like to take up the reins of AHDRA and run with it! I am open to any and all possibilities……"
Team Althea Racing with APRILIA FOR THE 2013 SBK SEASON. Noale,Italy, 3 December 2012 – Genesio Bevilacqua's Althea Racing, one of the top teams in World Superbike, has chosen Aprilia as their partner for the 2013 season. The Aprilia RSV4 Factory, extraordinary winner of the Rider and Manufacturer titles in the season which just ended as well as in 2010, will be ridden in the next WSBK season races under the team Althea colours by Roman rider Davide Giugliano. Born in 1989, Davide Giugliano had an excellent WSBK rookie season in 2012 with one second and one third place, and in 2011 he won the Superstock 1000 title with team Althea. With the contract between Aprilia and Althea Racing, there will now be 4 Aprilia RSV4 bikes starting in the 2013 World Superbike season. In fact, Giugliano's Aprilia will be riding alongside the two official Aprilia Racing Team RSV4s ridden by Northern Irishman Eugene Laverty and Frenchman Sylvain Guintoli, as well as the Red Devils Roma team bike ridden by Michel Fabrizio. Gigi Dall'Igna, technical and sport director of Aprilia Racing had this to say: “We are truly pleased to announce the cooperation with Althea Racing, unquestionably one of the top teams in World SBK. This is a structure with great technical skills that has our complete confidence. With the bike provided to Althea, and after the agreement reached with the Red Devils Roma team, we now have four RSV4 bikes lined up for the next World SBK season. This is a great challenge for Aprilia Racing and, at the same time, a reason for us to be proud since even in the season which just ended the RSV4 has shown itself to be a winning project”. Aprilia is the reigning brand champion in WSBK and boasts a collection of 51 world titles: 4 in Superbike, won in 2010 and 2012, 9 championships in off-road disciplines and an incredible 38 championship titles in MotoGP where it is the most victorious Italian and European brand of those active in racing. structure that works in perfect harmony to achieve great goals. Varese, Italy, Nov 22nd 2012 - The Italian motorcycle manufacturer who is currently the sales leader of the middle weight supersport class has decided to return to racing on the world stage and is convinced that they have joined forces with the ideal partner: ParkinGO. The two companies will be joined together in a three year contract. The program will debut the MV Agusta F3 675 in the 2013 world Supersport class together with additional racing activity development. The project will place the three cylinder bike from Varese in the able hands of the race technicians whom have already won the World Supersport Championship in 2011 and were contenders in the 2012 World Superbike Championship. 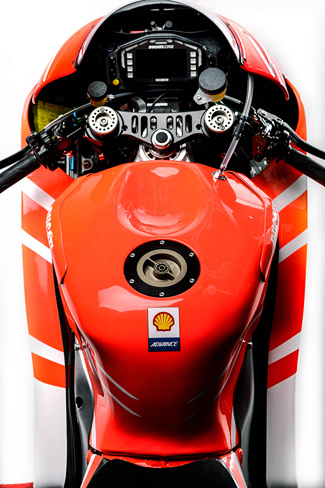 The ParkinGO Team have helped bring about this dream project building a long term link to the historic Italian motorcycle manufacturer whom have in the past accumulated 37 world championship titles, a number of which together with Giacomo Agostini. The signature of the contract arrived on the day of Claudio Castiglioni's birthday, whom would be 65 years old today. This is clearly a sign that goes beyond mere coincidence and continues to convey the passion for racing that has always been synonymous with the motorcycle icon. Giovanni Castiglioni - Presidente MV Agusta: "To be able to reach this agreement with ParkinGO is personally very satisfying. Taking into account the passion for racing that I have inherited from my father, this is a very emotional decision and I am looking forward to the challenges that will inevitably need to be overcome. Together with Engineer Bordi's experience, who personally plays a very important role in this project, I am convinced that there are all the elements needed to achieve our goals." Giuliano Rovelli - Presidente ParkinGO: " Together with my brother Paolo we recognize the importance of MV Agusta's return to World Championship Racing and are extremely satisfied to be able to join forces and conclude this accord. From our very first encounter with MV there has been a tremendous feeling and understanding between our management teams, our common vision with regards to this project has been an important element that allowed us to join together in this partnership."